Notes: Average annual growth rates. PHI is private health insurance. 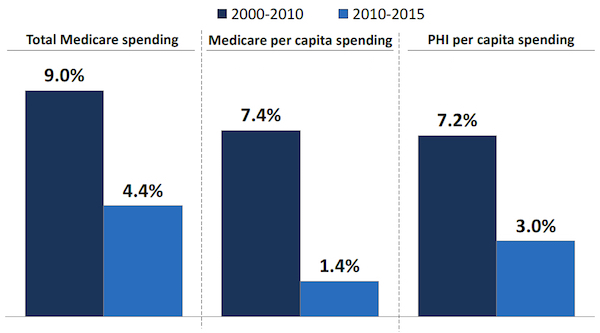 Data Source: Kaiser Family Foundation analysis of Medicare spending data from Boards of Trustees; private health insurance spending data from the CMS National Health Expenditure data. This entry was posted in Data Watch on July 27, 2016 by Christopher Barbey.